Every year, political, grassroots and labour organizers from across the country meet at CanRoots to learn from each other's victories, to skill up and to get ready to make change in the year ahead. We were honoured to be a sponsor for the event and help bring it to life with a new visual identity and digital platform. 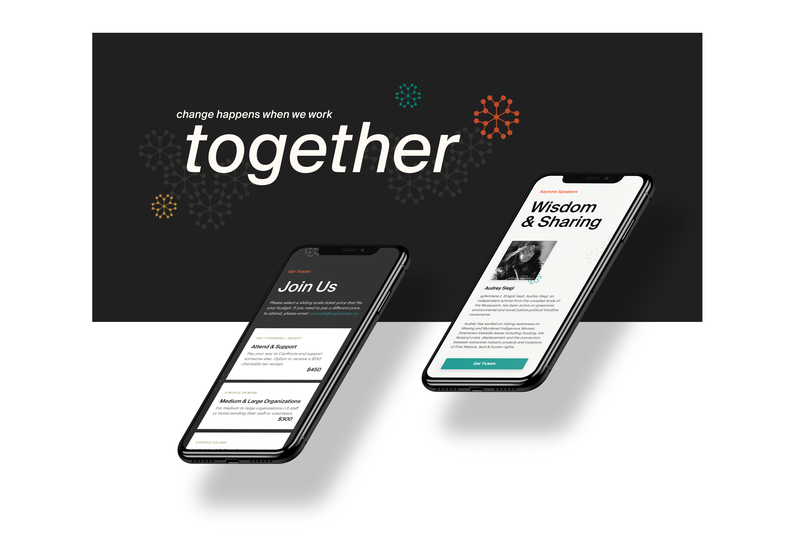 Our friends at Organize BC have put together the event for 5 years now but they never truly had the opportunity to create an on brand digital experience and a scaleable platform for the event. It was time to launch a site that would not only engage viewers better and get more people to the event but also stay on brand with the new Organize BC brand identity we created. CanRoot's site had to look as a natural extension of the parent brand while still retaining its unique visual identity. 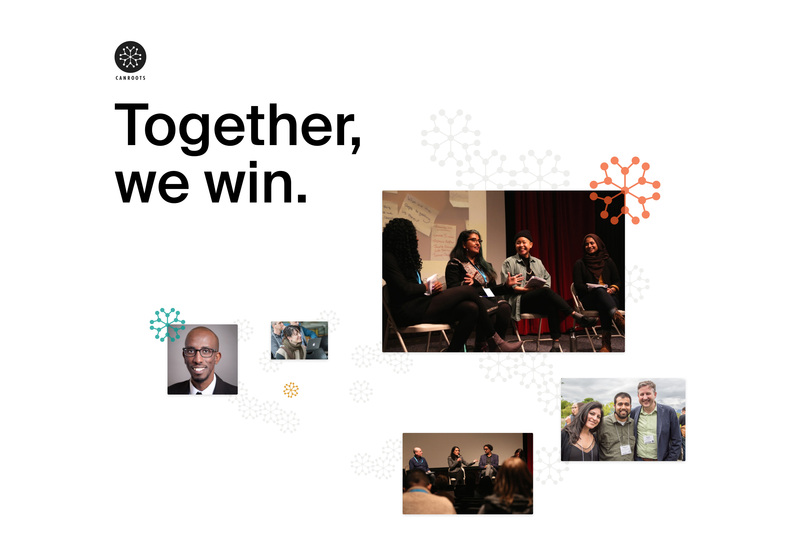 One of the main goals for CanRoots is to bring people together to form connections, collaborate, and share their experiences and wisdom to help others create more impact in their work. More than ever we need to create, expand, and enrich networks based on values and a shared vision of a better future. Not just to make change happen but also because genuine, heartfelt, and value-aligned connections are so good for the heart and soul! It's from that authentic place that real and sustainable change can start to heal the world and create better social systems. Our visual identity concept centered around those ideas. Using a snowflake to visually represent the creation of symbiotic networks of people and values was a natural fit not only to CanRoots but as an extension of Organize BC's emergent systems brand identity. People showing up with their open hearts is what really drives those networks and the work they do, so we used beautiful photography of people engaging with each other to add a more human and emotional layer to the idea of building networks for change. We crafted an engaging new digital presence for CanRoots that will fit their needs for years to come while saving them thousands of dollars with an easy to update and scaleable platform. Good things really do happen when we work together.